After working at a senior level in the fashion industry for many years, Katie moved with her husband to the country and three children swiftly followed. 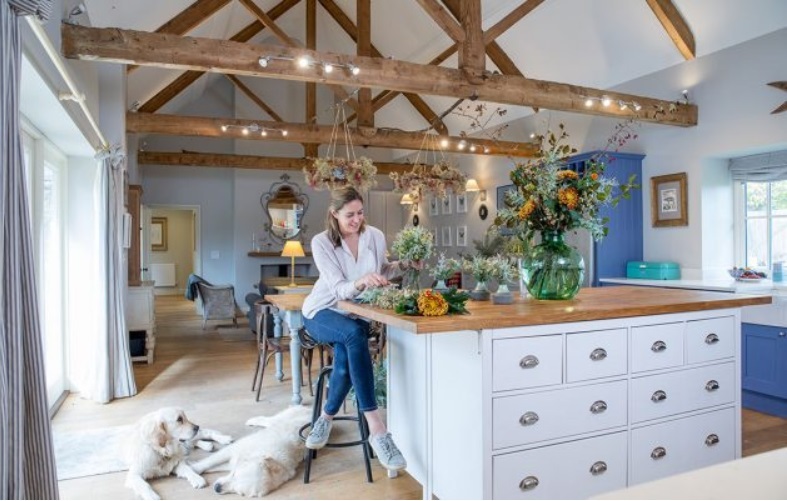 Katie's lifelong passion for craft, decorating and gardens turned her focus towards floristry and bringing nature indoors. She is passionate about provenance, and seasonality and using her own-grown materials as much as possible. Katie now lives on a Dorset farm with her young family and she is usually to be found deep in the cutting beds with several little helpers. For weddings, large events and installations Katie and Charlie Ryrie work together running The Real Cut Flower Garden. They work with top events companies as well as providing glorious wedding flowers from their gardens. Under her own name, Katie also provides several local businesses with regular flower displays, subscription bouquets to local customers and runs seasonal workshops.